Ventura, CA – Partners from the Montrose Settlements Restoration Program, the U.S. Navy, Island Conservation, Institute for Wildlife Studies and The Humane Society of the United States gathered on San Nicolas Island yesterday to formally announce the successful completion of the San Nicolas Island seabird restoration project. Navy-owned San Nicolas Island, located off the coast of southern California, provides vital nesting habitat for native seabirds and shorebirds. Species known to nest on San Nicolas Island include western gulls, Brandt’s cormorants and the federally threatened western snowy plover. The island is also home to the island night lizard which is federally listed as threatened and the island fox, listed by the State of California as a threatened species. Cats were likely first brought to San Nicolas Island in the 1950s. Left behind by military personnel returning to the mainland, the cat population expanded and impacted native seabirds on the island, many of which nest on the ground. Removal of the feral cats from San Nicolas Island was identified as a high priority project for the Montrose Settlements Restoration Program and was also a recommended management action by the Navy in their Integrated Natural Resources Management Plan. After extensive planning, active removal of the feral cats started in June 2009. A year later the last feral cat was detected and removed. Two years of follow up monitoring using remote cameras did not detect any cats and the project is now deemed to be 100 percent successful. The Humane Society of the United States provided for the transport, care, and permanent housing of the captured feral cats in a sanctuary on the mainland. A total of 59 cats were transported to the sanctuary. “This project reflects what can be accomplished by bringing together multiple partners with a diverse array of expertise to achieve a common goal,” said Jim Bartel, Field Supervisor of the U.S. Fish and Wildlife Service’s Carlsbad Office. 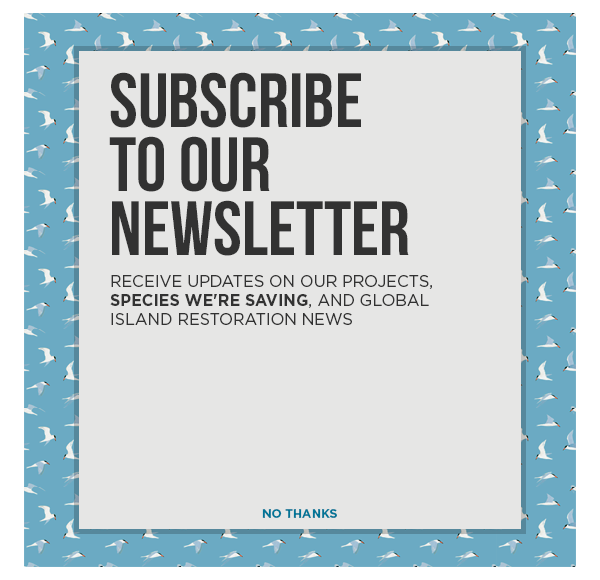 Restoring the natural balance of island ecosystems through the removal of non-native species has been shown to have significant positive effects. On Santa Barbara Island feral cats have been removed and that island is now able to support the largest colony of Xantus’s murrelets in the U.S.
“The successful completion of this restoration project is another important step in the MSRP’s work to aid natural resources affected by the releases of DDT and PCBs into the southern California marine environment,” said Jennifer Boyce, Manager for the Montrose Settlements Restoration Program. The MSRP expects colonies of western gulls, Brandt’s cormorants on San Nicolas Island will also show improved nesting success. Aerial monitoring will occur in 2013. This project was selected to receive a Natural Resources Conservation Communication, Conservation Partnerships award from the National Military Fish and Wildlife Association. The award will be presented to the partners at the NMFWA meeting taking place March 12-16 in Atlanta, GA.
Download a .pdf of this press release here.